We have a great team here at COASTROAD. Robby is the president but he is very busy running R.D. White & Sons, Inc. (of which he is also president, a separate corporation). 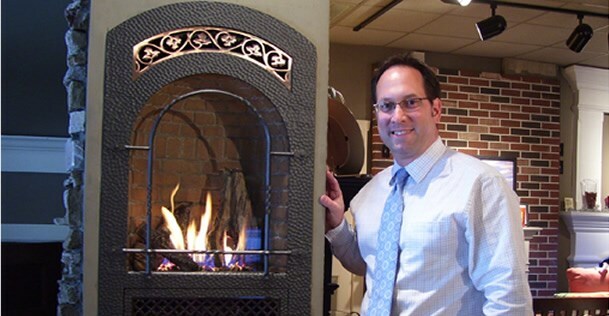 Tom is the general manager, VP, and fireplace and outdoor kitchen "design guru". Liesl Parks manages purchasing and special orders. Denise Galiano manages new construction projects and keeps us all organized (or at least tries). Paulette Fullwood has a full-time job keeping the accounting straight, but she still helps to cover the phones when it gets really crazy in the showroom! Our technical/service/installation staff is headed up by our two senior technicians, John Milliken and Chriss Locklear (in February 2009, John had been with us for eleven years. Congratulations!). John Milliken: Factory training from Fireplace Xtrordinair, Gas-Tite, HEAT & GLO, Mendota, Majestic and Vermont Castings; FITS (Fireplace Installer Training System) Gas Fireplace Fundamentals certification; FITS Gas Fireplace Installation certification. Chriss Locklear: Factory training from Fireplace Xtrordinair, Gas-Tite, HEAT & GLO, Mendota, Majestic and Vermont Castings; FITS (Fireplace Installer Training System) Gas Fireplace Fundamentals certification; FITS Gas Fireplace Installation certification.